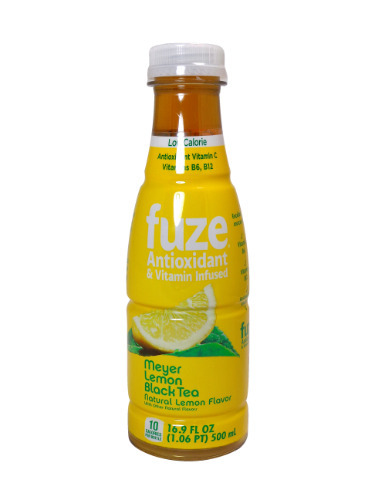 FRESH 16.9oz bottles of Fuze Meyer Lemon Black Tea Antioxidant & Vitamin Infused beverage. Splash in an ocean of invigorating citrus and soak in flavorful vibes of lemon sunshine. This refreshing Meyer Lemon Flavored Black Tea is Antioxidant Vitamin C, Vitamin B6 and B12 infused. Every delicious sip is a bright utopia on the isles of Fuze.